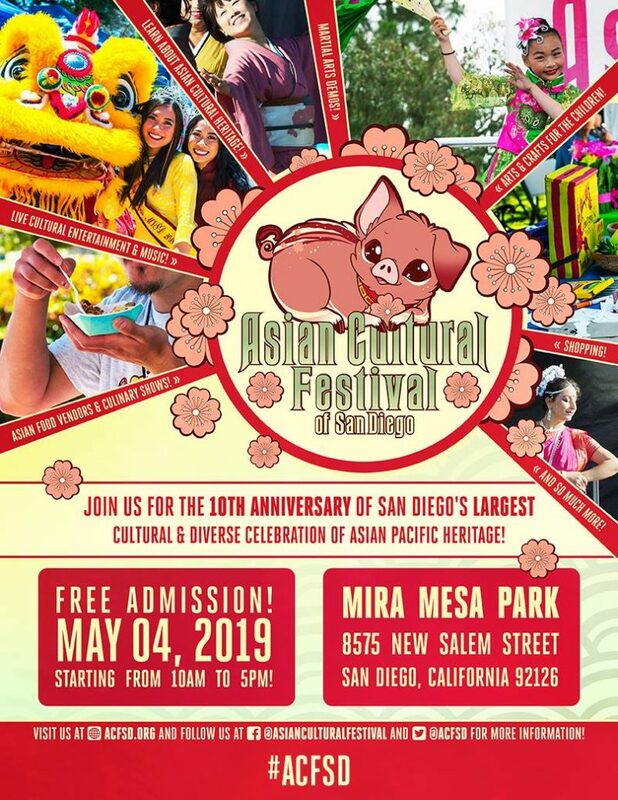 The 10th Annual Asian Cultural Festival of San Diego will be taking place on Saturday, May 4th, at the Mira Mesa Community Park at 8575 New Salem St, San Diego, CA 92126. We will be going from 10:00am to 5:00pm, celebrating Asian and Pacific Islander cultures and countries! This is a free, family-friendly event and we invite everyone to come celebrate our 10th year! Click on our facebook event page and hit GOING here!